This last couple of weeks has called for perseverance. The events of the last few weeks have taken their toll on me, and I have been rather unwell and on antibiotics. I'm not sure what I had, but it kept me even more poorly than usual, and just made me feel completely miserable. I believe I am past the worst now, but my appetite is still erratic, and I am still feeling solemn. Having M.E. appears to make me prone to fall ill physically when I suffer with any kind of stress, and the death of Honey hit me hard. So, what have I managed? To be honest, very little. However, as the title of this post says, I intend to persevere with this project and continue as I can, especially now I seem to be over the worst of the illness. In the last couple of days, I did manage to write a couple of conversations that related to each other, and altered them according to the order that the player encounters each NPC. As I wrote these conversations, I realised that this was one of those frustrating elements that I have tied myself into with this kind of design. Because I have made much of this first module very "open", it means I have to account for how and when the player may speak with one NPC with respect to another NPC later on down the line. This design doubles the amount of conversation lines I need to write for each NPC involved, and is something that I will address in later modules by redesigning the approach a player can make to such NPCs. I need to be strict about this, or else I simply won't be able to achieve what I hope to do in the future. Something I forgot to mention a few weeks ago that I can mention now to offer something to talk about, is that I introduced an "Achievement" system. 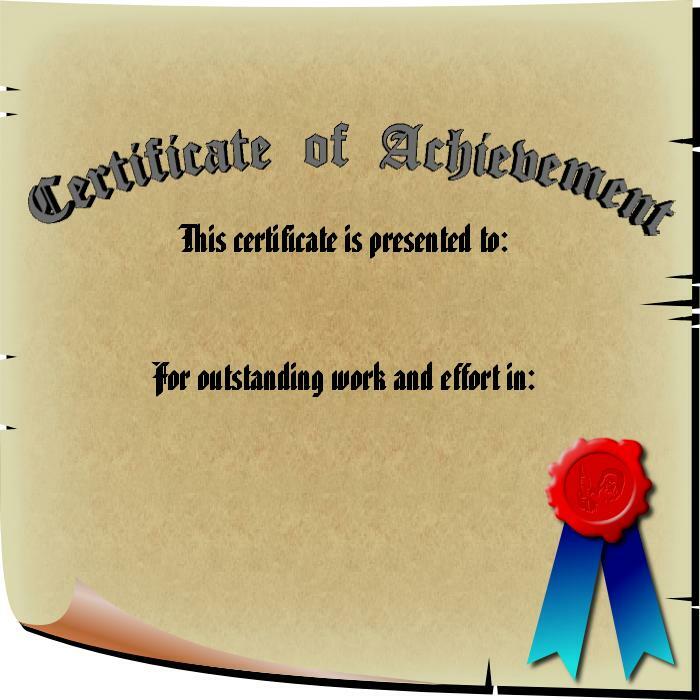 It was added for a bit of fun really, as I know how satisfying it can be to be awarded a "certificate" for unlocking a part of the game that may even be just a small side event. At the moment, I have used it in a couple of feats that the PC can achieve through play. i.e. Bonus feats as opposed to those taken at level up. 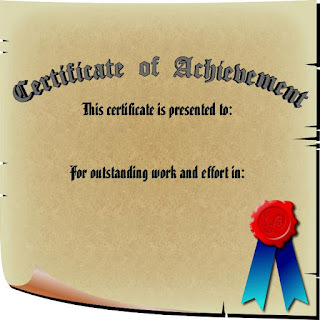 So, a player may suddenly find themselves being presented a certificate for achieving something that awards them a bonus feat. It uses a generic template, based upon my scroll system, which is presented using visual and sound effects. A fanfare for the achievement! The scroll background artwork is done by Geoff Cordery (Quillmaster). Lance...Just checking back for any new posts you may have written. Invitation? I think I may have responded to your invitation before in a post I made on your blog site. But, that was some time ago, so I may be mistaken. I mean no offence by what I am about to say, as I know you have been a follower for a while, but are you actually "reading" anything I am writing about? As your posts appear to be out of context with anything I write and rather vague. By all means, please respond to this post, so I can understand your position of interest.